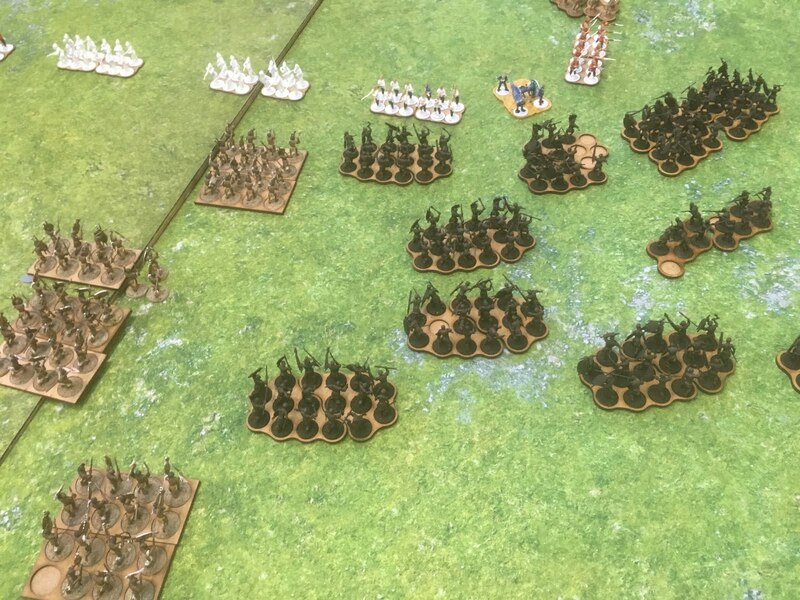 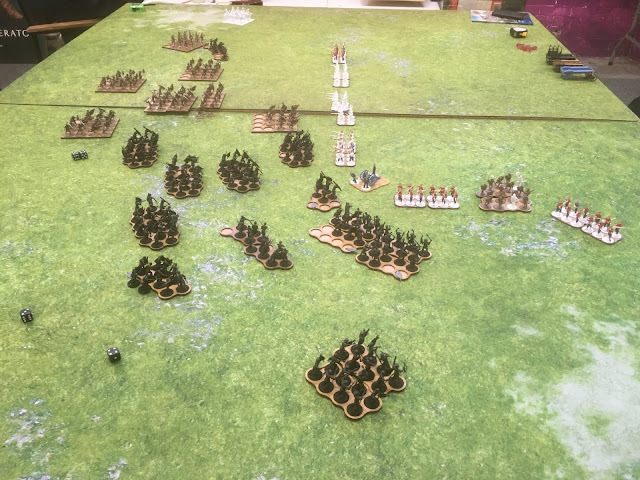 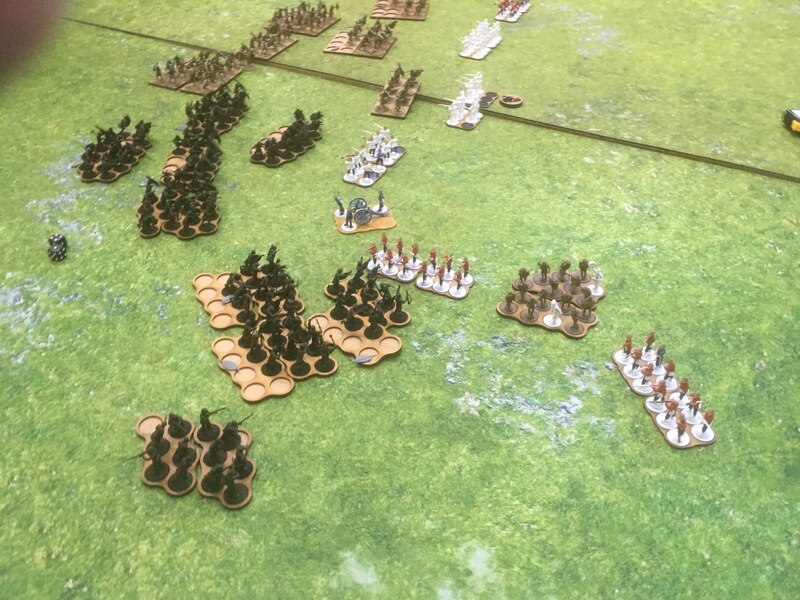 So following our recreation of the heroic defence of Rorke's Drift on the 140th anniversary (plus one day) we rolled up at BIG the following Sunday for an all day refight of Isandhlwana! 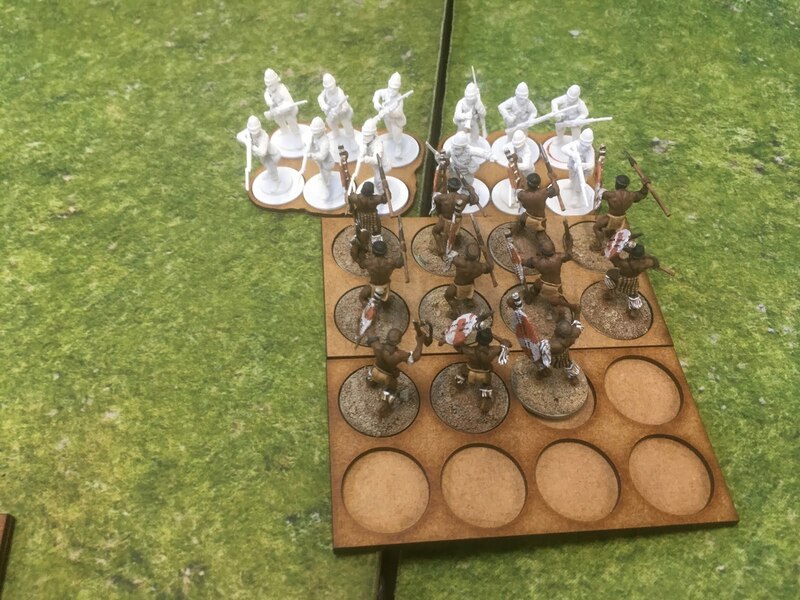 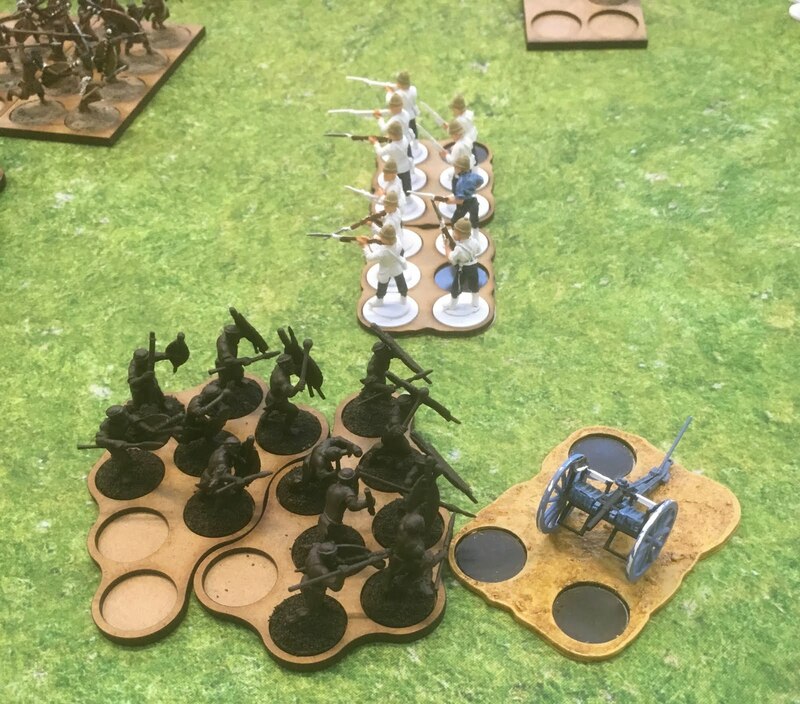 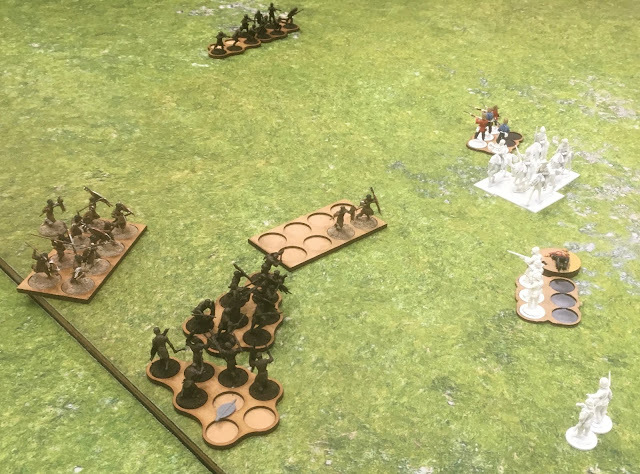 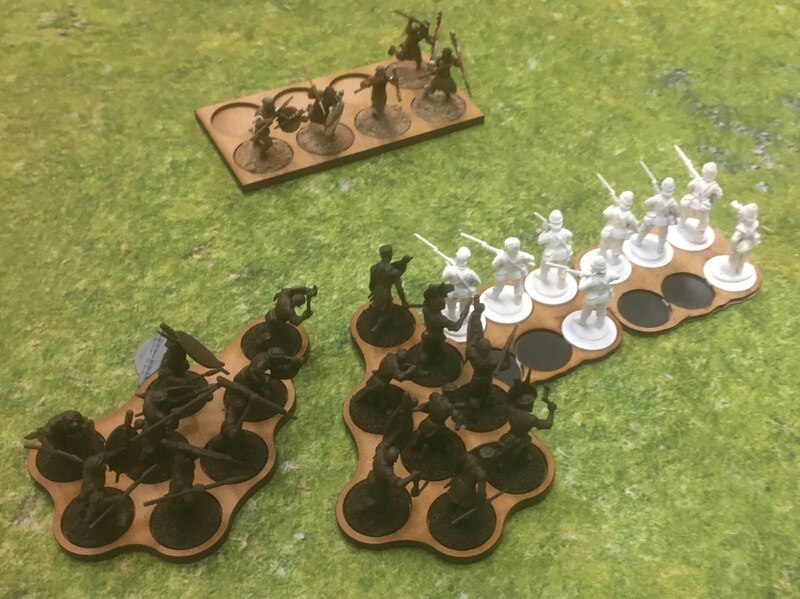 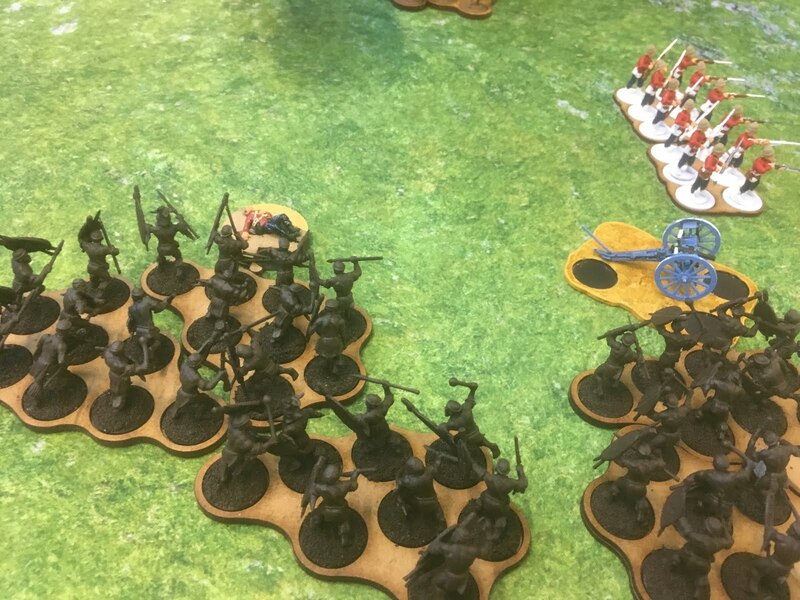 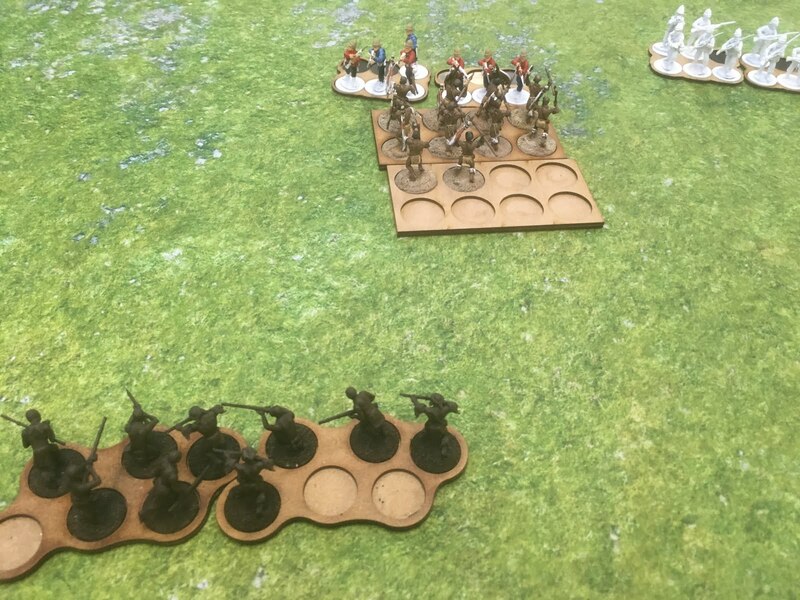 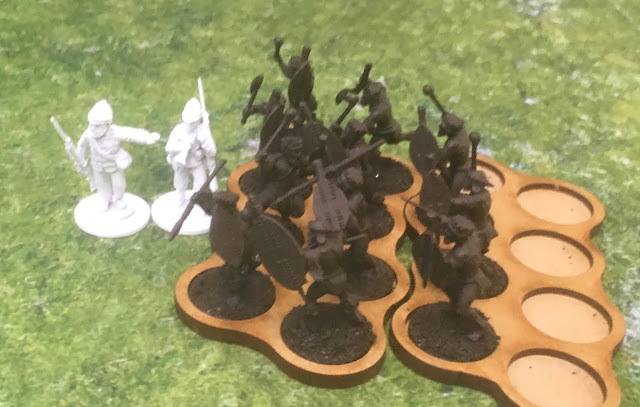 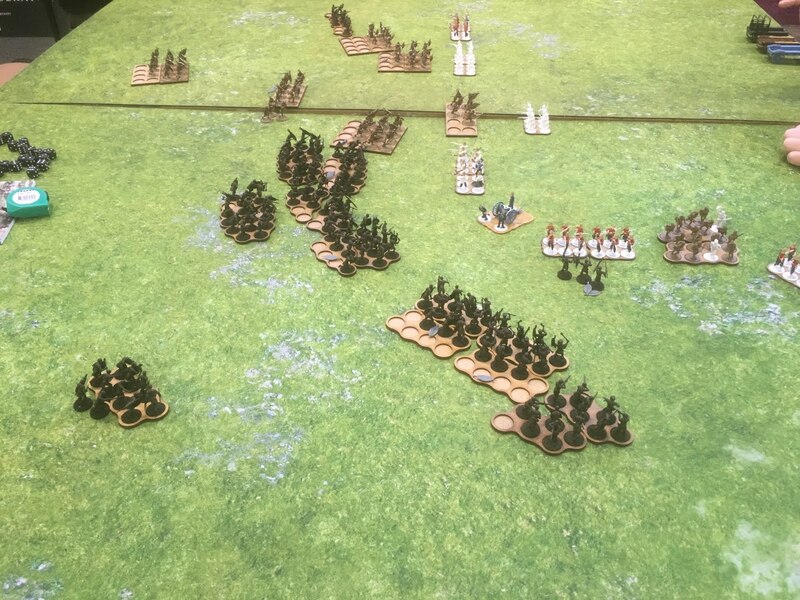 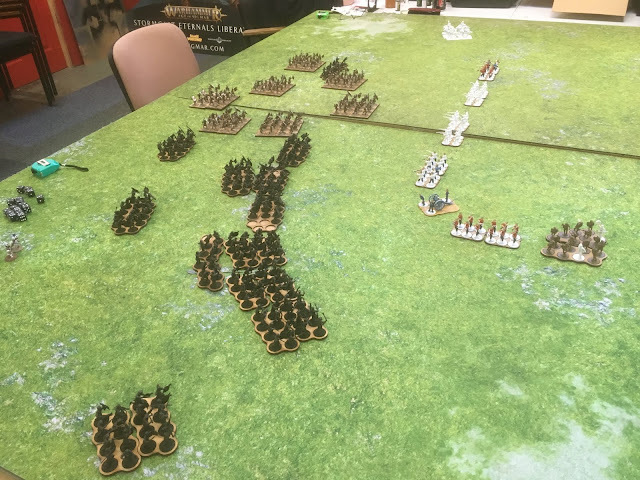 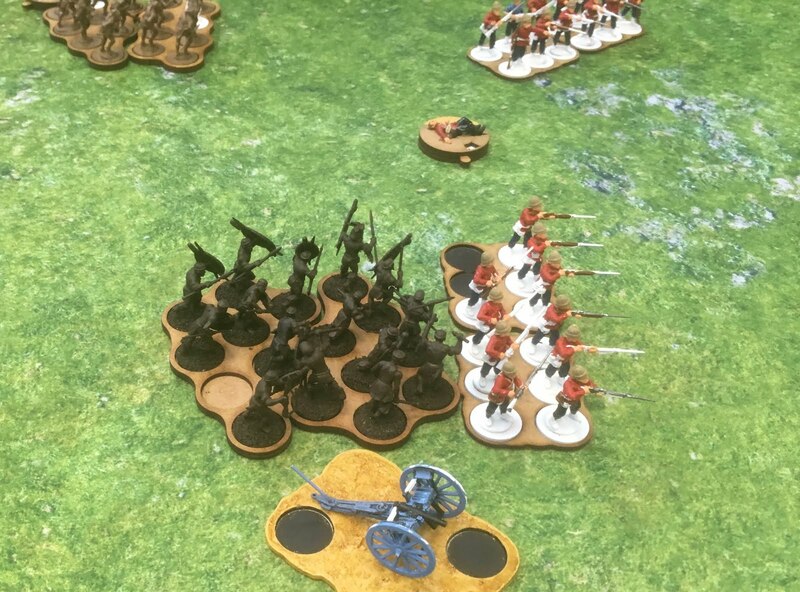 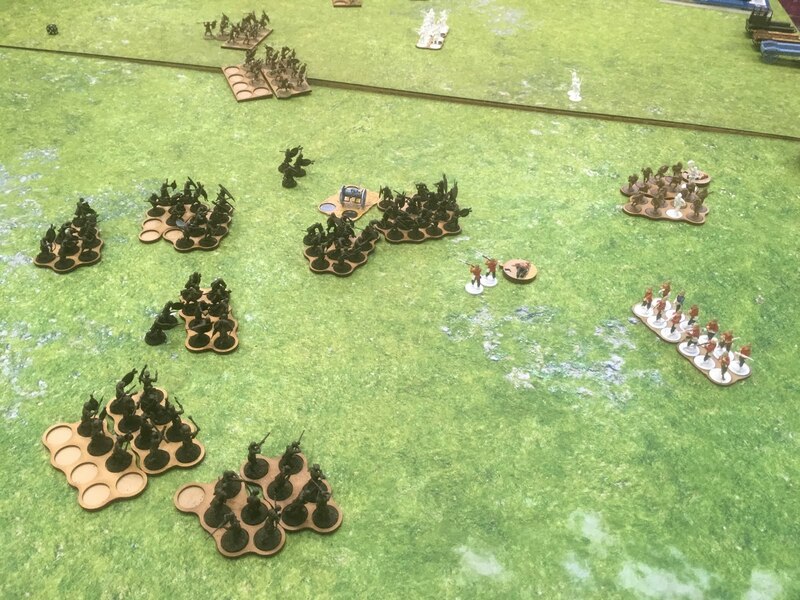 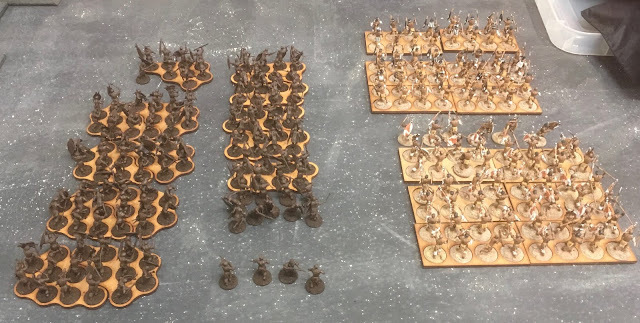 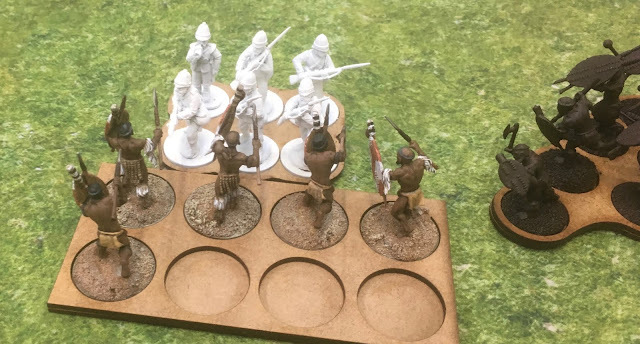 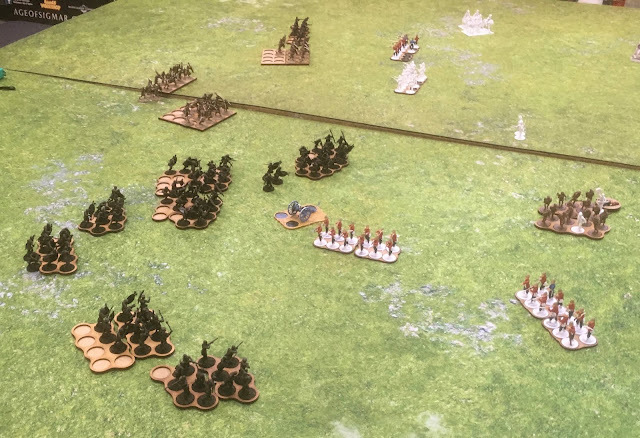 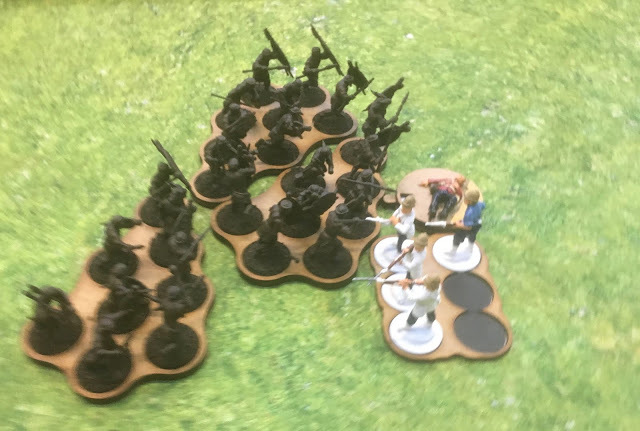 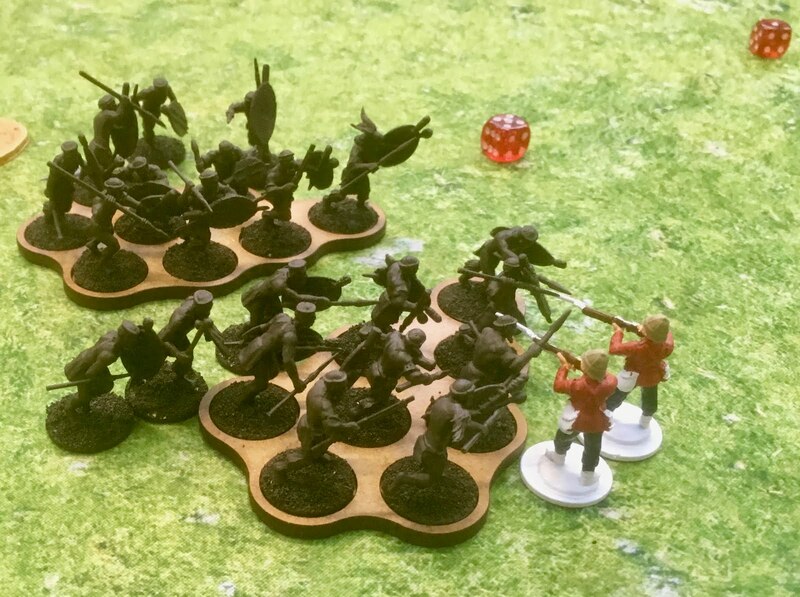 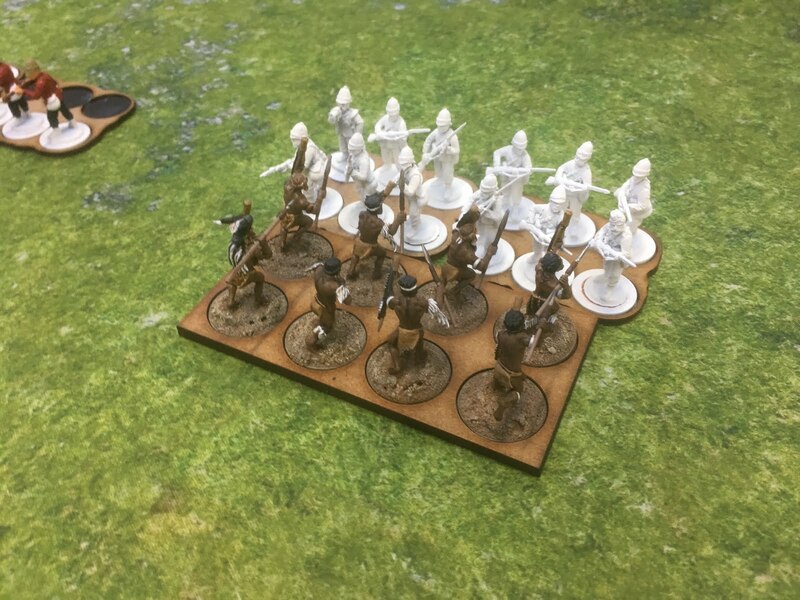 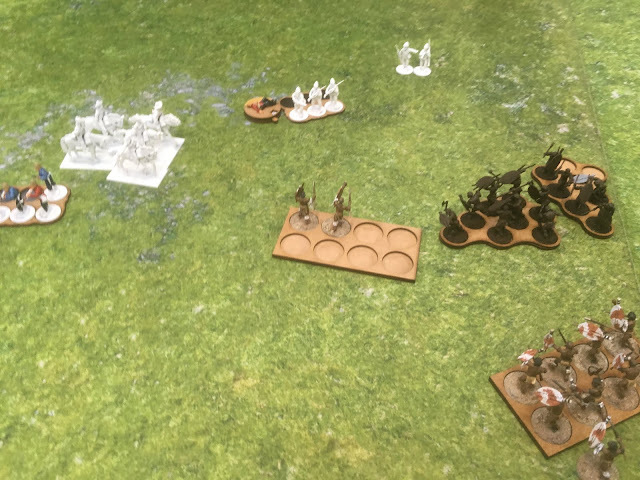 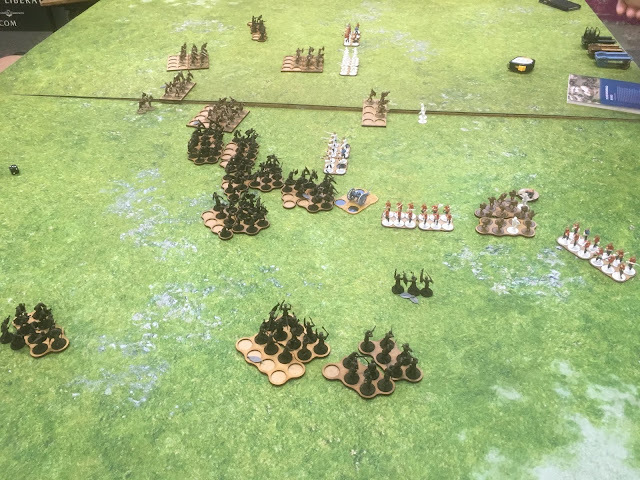 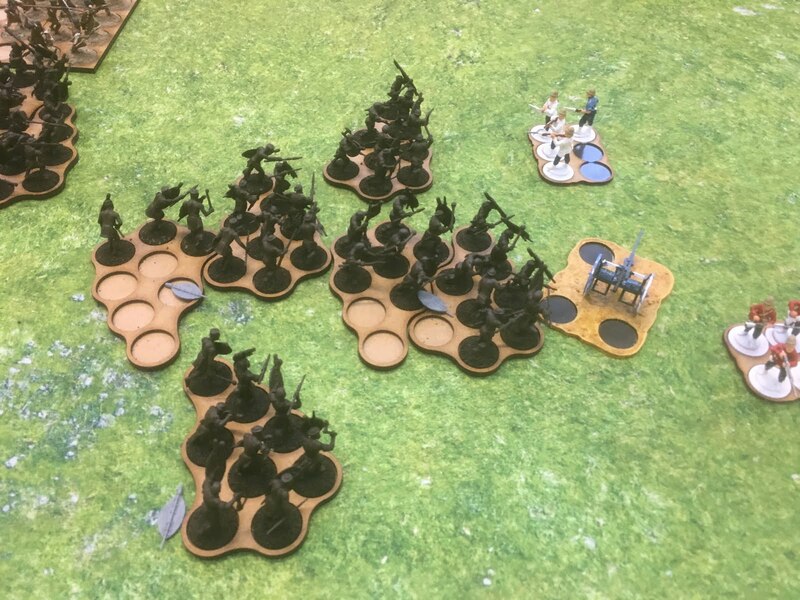 Using The Men Who Would Be Kings again, we upped the force levels to 48 points and decided to use the Zulu regeneration rules that had worked well enough during the Rorke's Drift battle. 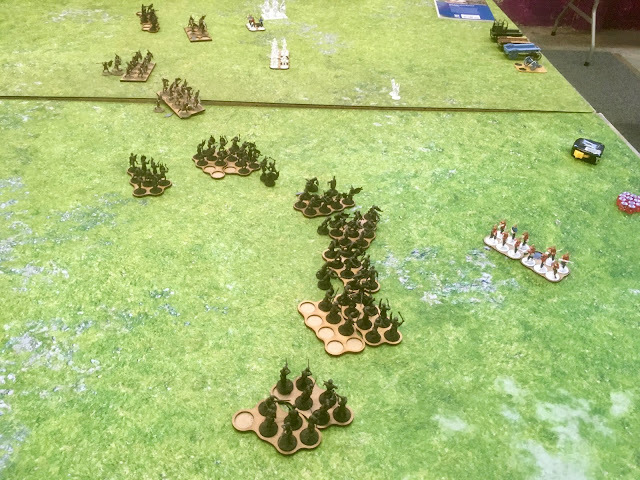 The attack on the left flank had turned into a bit of a mess with units getting Pinned. 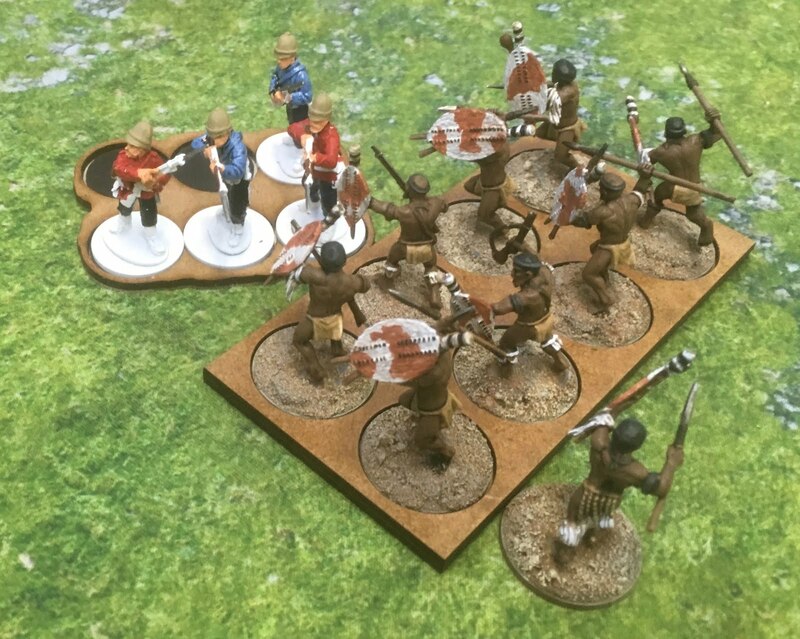 ...but the cannon fire and rifles of the 24th cut down many brave Zulu warriors! 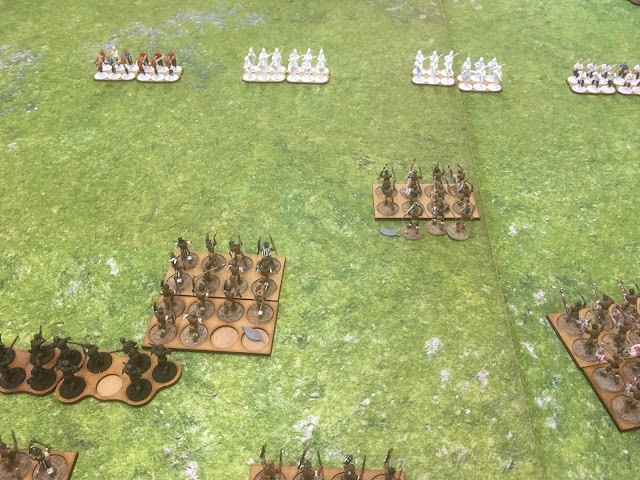 ...as did one on the right! But both were repelled by the sharp bayonets of the 24th! 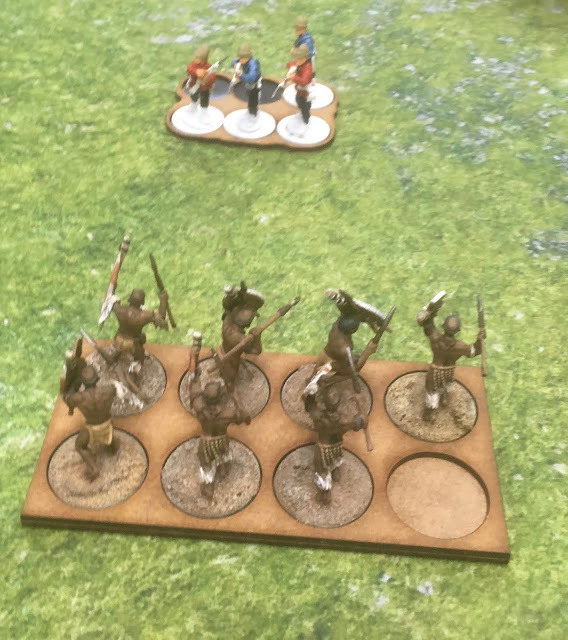 The Zulus drew breath and charged in again! 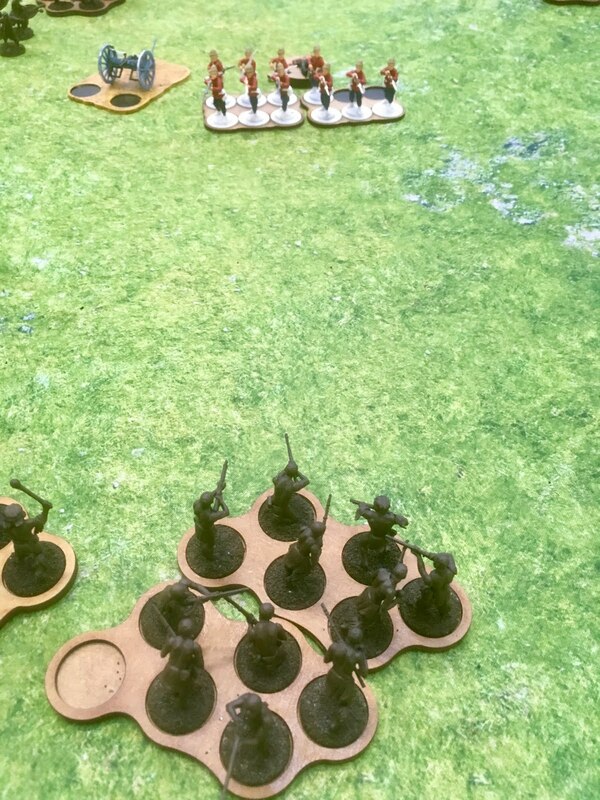 And managed to overrun the cannon which had been causing havoc in the Zulu ranks! 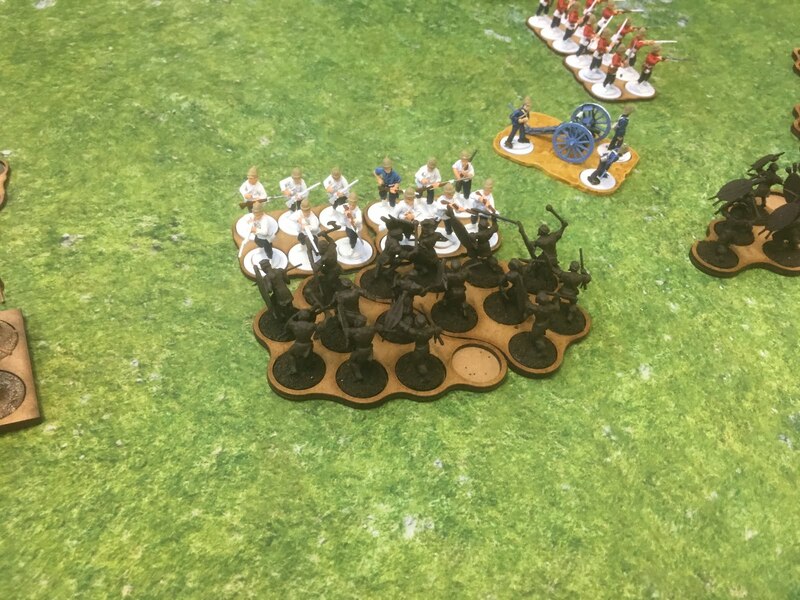 ...and pushing it back and Pinning it after inflicting six casualties! 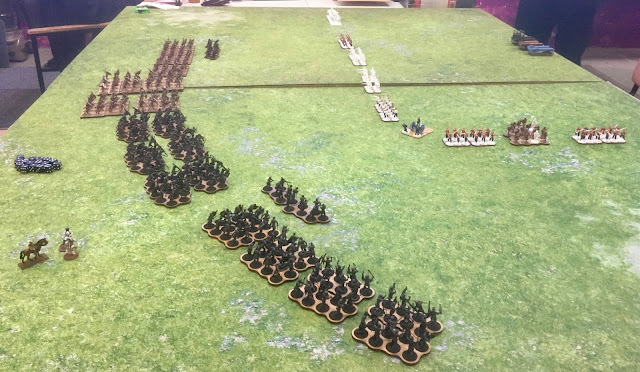 Suddenly the British line was split into two parts as the Zulus poured through the centre. The battlefield was looking a lot emptier than when we started! This allowed a unit of Zulus to charge into the Pinned unit and inflict eight casualties! 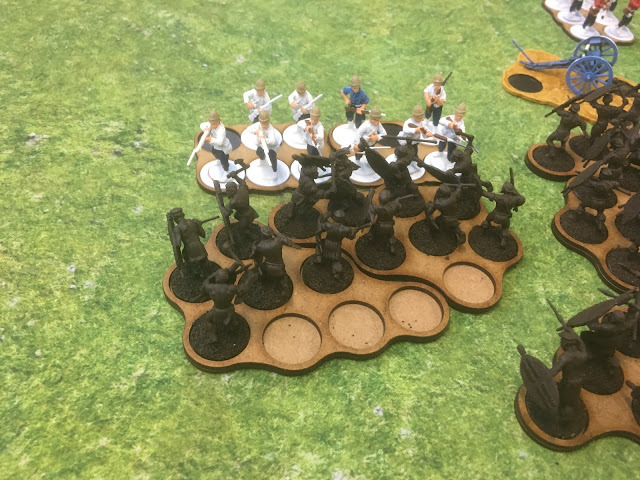 ...winning a round of hand to hand combat three to two! 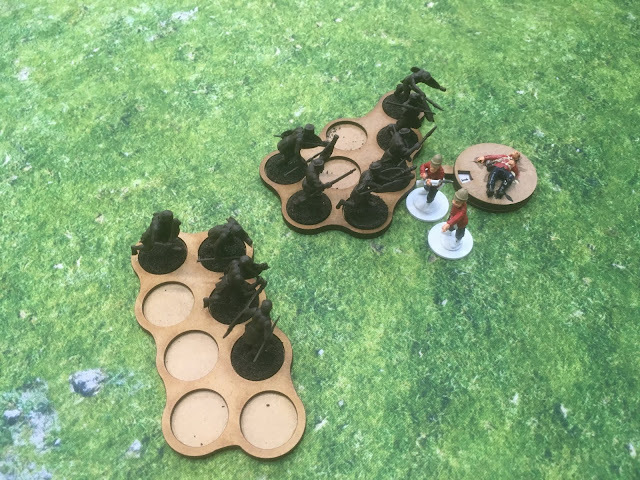 ...before bottling it and running off completely without doing anything in the game! 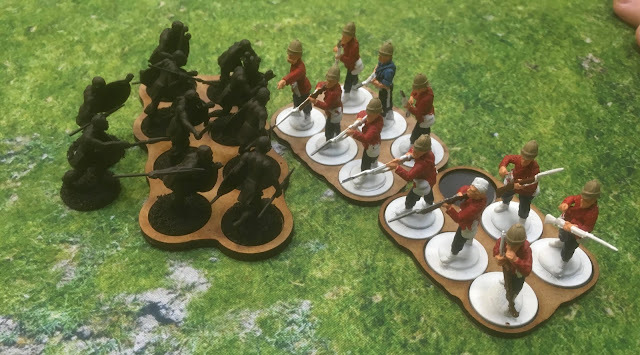 ...not that it made much difference for the two survivors of one unit who went down under a flurry of assegais! ...and managed to kill nine of the British, Pinning the survivors, who went down next turn. 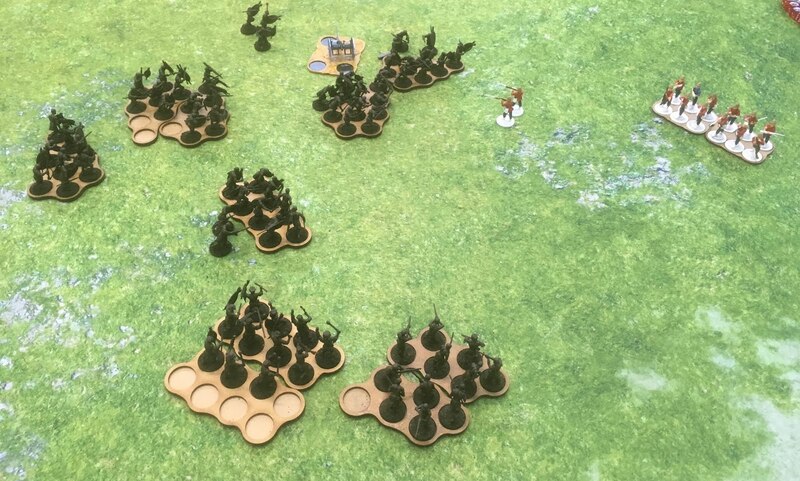 ... and forced them back following a drawn round of combat! ...who killed another three and Pinned them. ... after another fell to the might of the amaZulu! So, as happened historically, Isandhlwana was a mighty Zulu victory, but not one without losing a lot of Zulu warriors. 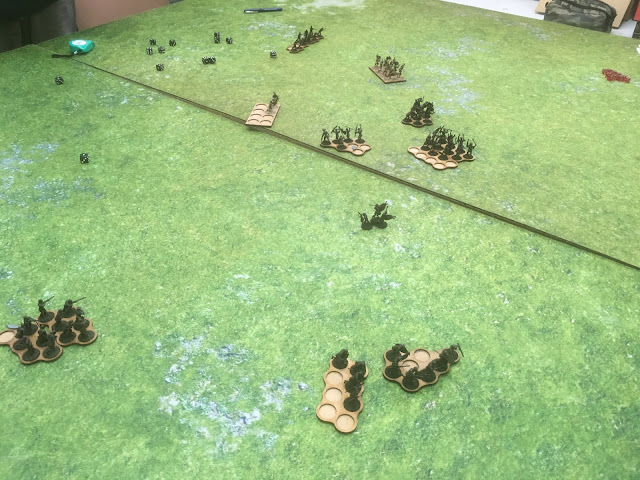 This was the casualty table at the end of the game and doesn't show the units originally wiped out that were regenerated! Great, battle report, and really useful for someone looking at the different rules options for colonial wargaming. 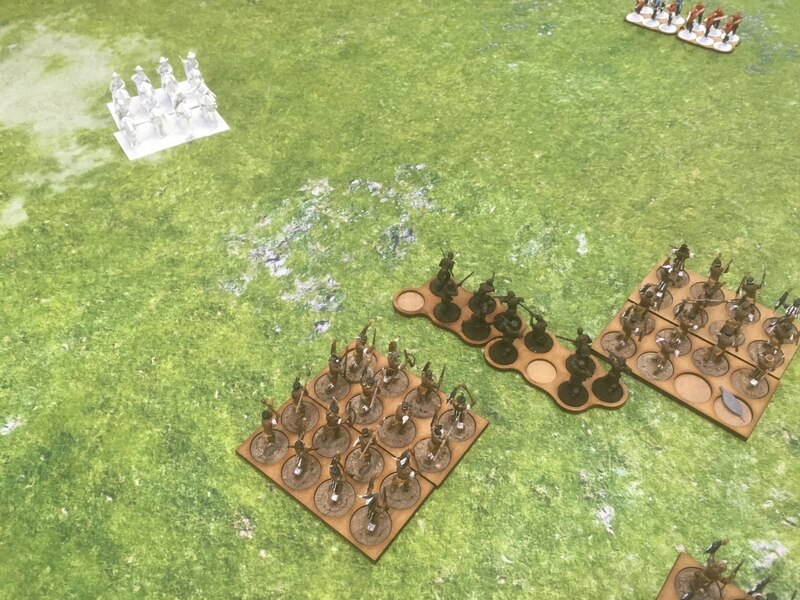 I really was under the impression that TMWWBK really was only useful for skimish level games, but this completely scotches that.